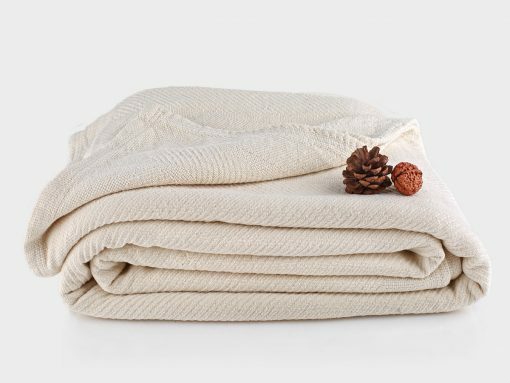 Our Herringbone Weave Blankets have that extra warmth and softness of Chenille yarns which will make you sleep like a child. 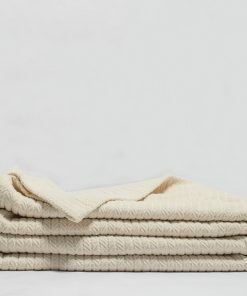 The cozy feel that these blankets inherit is something unexplainable and can only be felt. The blankets are ideal for use all the year around and are made using 100% Organic cotton. 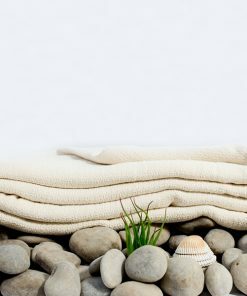 Our Chenille Herringbone blanket is stylish and offers a super-soft feel since it is made from natural fibers and organic yarns. 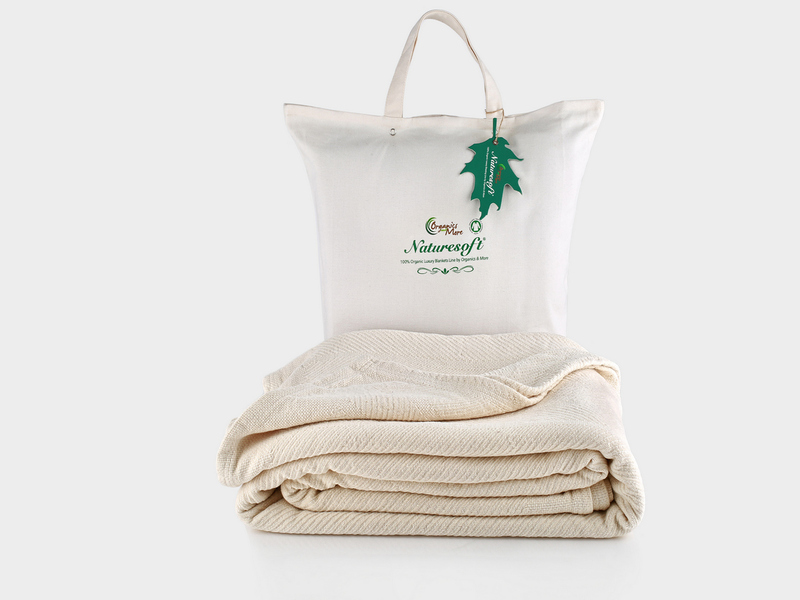 The blankets will offer coziness that every family member will enjoy, and this makes you sleep through the night. 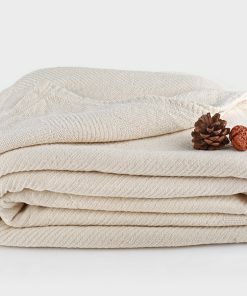 The comfort of our natural color organic blankets is beyond imagination. The good news is that we have made the Chenille Herringbone blanket in such a manner that you can use it during all seasons, all year round. 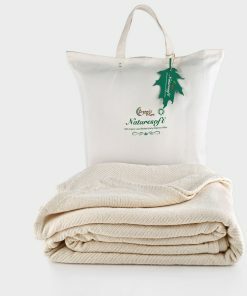 You can find the blanket in twin size, full, Queen and King Sizes, depending on your preference. 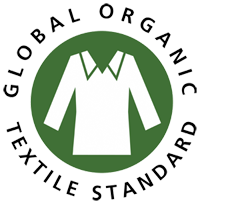 The blanket will be comfortable on any type of skin, due to their organic nature. Great quality blanket. No noticeable shrinkage after first wash, just be sure to follow washing directions. We live in New England, and find 2 of these blankets provide plenty of warmth. overall great looking blanket and I’m sure it will hold up over time. 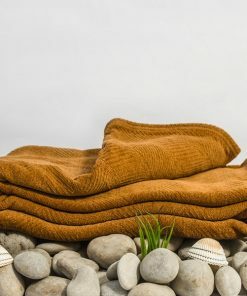 I’ve got both the natural and the buffalo brown color in this blanket. I love them on top of my Naturesoft organic sheets. The blankets are warm, and don’t have the static cling that I got from my old synthetic blankets. They are high quality and very nice looking. I find this blanket to be comfy and I love having it as part of my new bedding. It washed beautifully. I may order myself a second one. Thank you. This is a beautiful blanket, I keep it on top of my bed. I wish they sold matching pillowcase shams in chenille! I would definitely buy them. The only concern I have is that the blanket did develop a pull, but that may just be a problem with chenille in general. The blanket overall though has a wonderful texture. 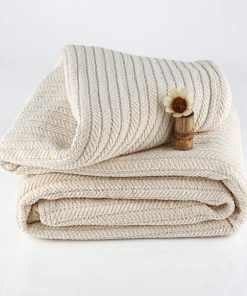 I now have two of these blankets in Natural and love them. 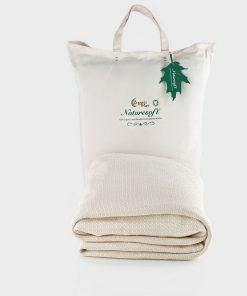 I have chemical sensitivity so organic linens are a must. 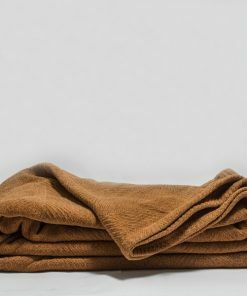 This blanket does not have any odors common in new fabrics. 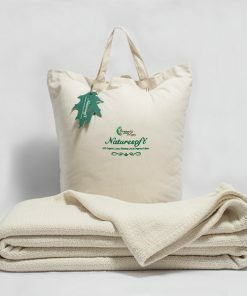 I especially appreciate how well-made and comfortable this NatureSoft blanket is. And, its weight and warmth are just right for Northwest nights. Great product, very soft and good size. 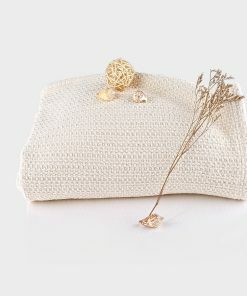 Timely service…USA grown and made…Beautiful & sturdy weave. Very pleased overall. Saving up for my next purchase! Thanks!